It’s a typical Monday afternoon in KL’s Ampang Hilir neighbourhood. The midday afternoon sun is beginning its daily churn into a sky ready for afternoon rain, and cars and people bustle along the busy Jalan Ampang connecting the suburbs of Ampang to our clamouring city centre. In the midst of this commotion sits an unsuspecting oasis. 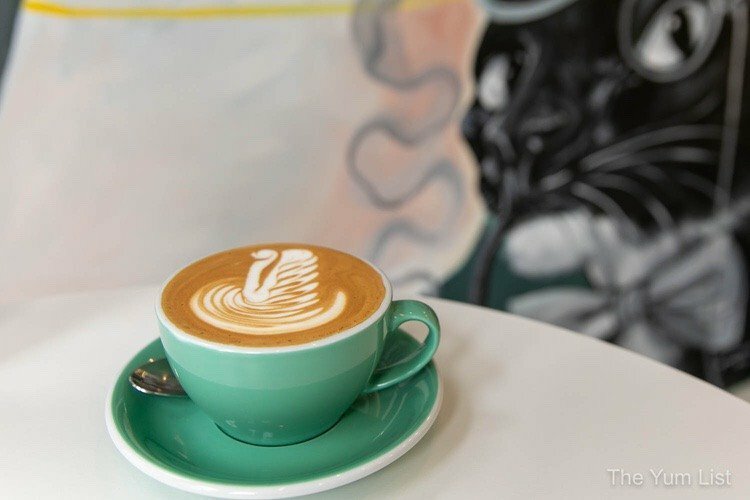 The Lolla Co is an understated yet immediately charming new café and coffee shop located on the outside of Ampwalk (right across from popular expat grocery store Hock Choon). With floor to ceiling glass windows, a simple white décor with blue accents and a charming Alice in Wonderland mural it doesn’t take long to find yourself relaxed in this quaint space. When Monica, Rich and I strolled in we were greeted by Larry the owner and mastermind behind The Lolla Co. He explained that the ethos of the place came from a personal desire to have a quality and fun coffee shop on this side of town, in particular at Amp Walk where his wife works. The menu, while simple, also makes sure to offer something to everyone, and they are definitely serious about serving delicious handmade coffee. We begin our afternoon with a café classic, a Cappuccino (RM10) made with the ever-popular Common Man coffee roast from Singapore. This lighter roast has a touch of acidity which pairs perfectly with the full creamy foam for an enjoyable sipper. Once we know that they have the basics of coffee nailed we get more adventurous, ordering a Masala Chai Latte (RM 12) and a Black Tonic Coffee (RM 13). The Masala Chai came highly recommended by Larry as it is one of The Lolla Co’s most popular drinks. Made with real Masala spice from India, and served with a cinnamon stick, which slowly adds flavour as it dissolves, it is easy to see why. 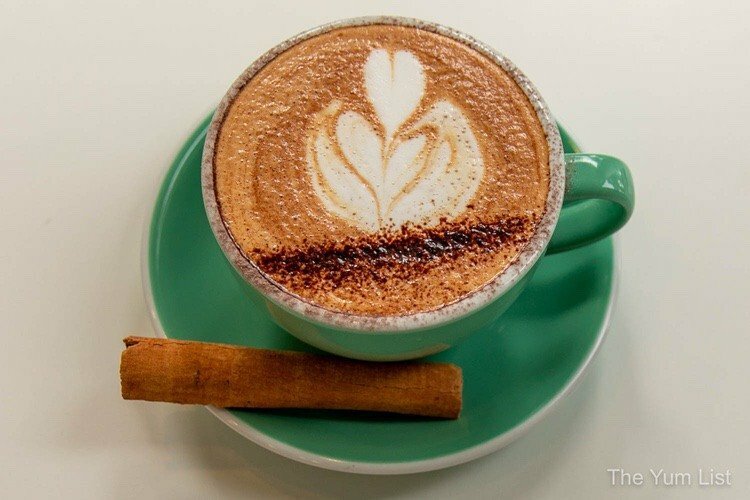 Full-bodied, yet far from too sweet, this is a wonderful, authentic Chai Latte. 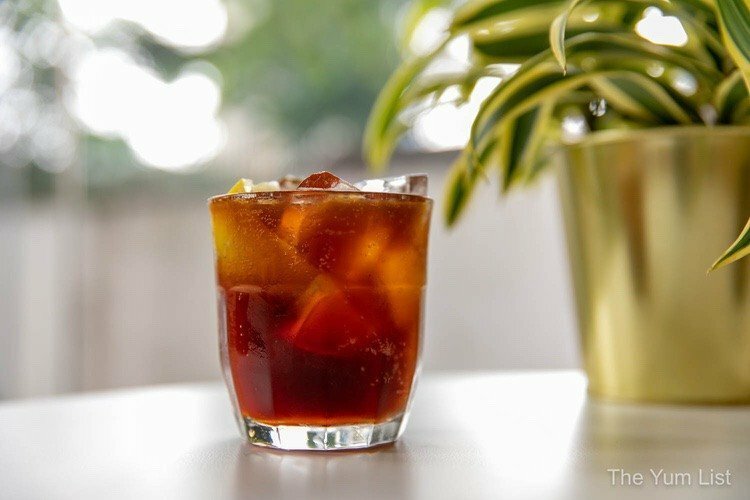 The Black Tonic coffee, on the other hand, moves away from the style of comfort drinks and instead works almost like a coffee cocktail! Made with iced black coffee and tonic water, this drink is topped off with lemon and a little sugar syrup. This is the strongest drink of the afternoon, but the tonic adds fizz, and with the lemon and the syrup this cold brew is refreshing and also unique, maybe not for everyone but definitely worth I try! By now we are both buzzing and feeling well-caffeinated, as our eyes drift to the food we decide to try two more drinks, non-caffeinated ones, to enjoy with our meal. 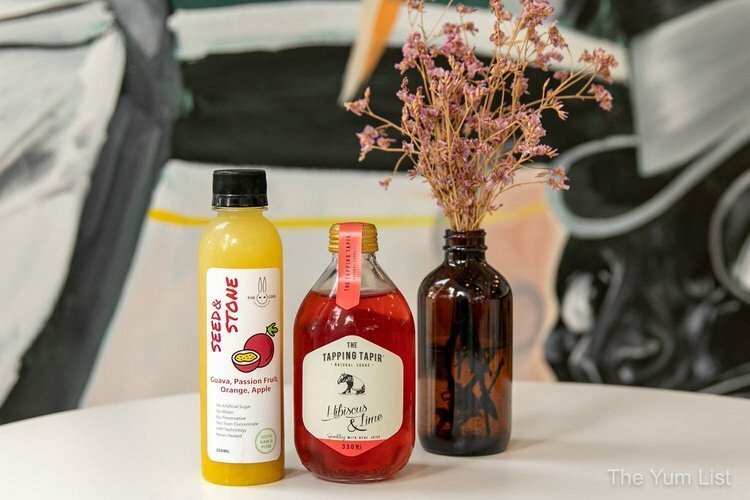 We settle on the Hibiscus & Lime Natural Soda (RM 11) and the Seed and Stone Cold Pressed Juice (RM12). The Hibiscus and Lime Soda is surprisingly gentle in its flavouring, with a subtle hint of lime and depth of tropical hibiscus flavour that lightly fizzles on your tongue. In contrast, the Seed and Stone juice is full bodied and tangy. Packed with Guava, Apple, Orange and Passion fruit this is juice is rich in berry flavouring and sweet and sour all the way through. Fully satisfied on the drink side, our stomachs are rumbling as the Avocado Toast (RM22) is served. In keeping with the theme of simplicity with a hint of flourish, this café staple is served on a seeded sourdough toast packed with avocado, cherry tomatoes, and feta cheese. My favourite touch was the roasted spiced chickpeas and the hummus served on the side. Hearty and healthy, fresh and wonderfully spiced this avocado toast is a huge hit. Despite the simplicity in concept, The Lolla Co is not short on adding a little fun into their café, which is evident in their Mariah Berry Sandwich (RM 19). 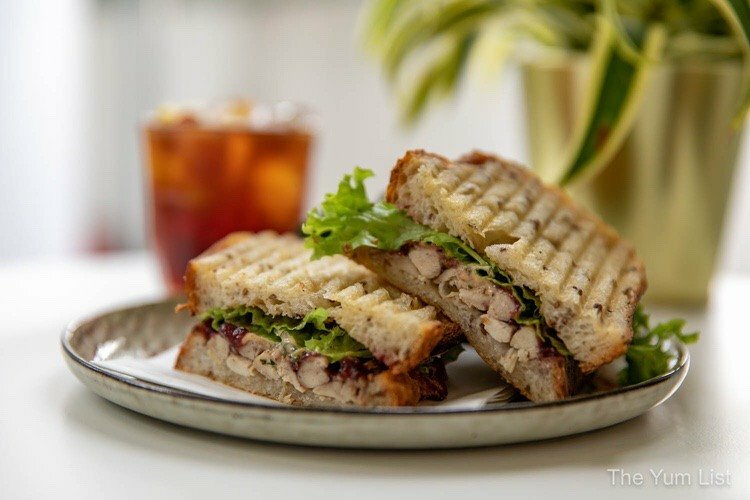 Served on a sourdough bread that is crusty on the outside and soft through the middle, this juicy Cajun-inspired roasted chicken sandwich is complete with a homemade organic cranberry jam and spicy herbed mayo that leaves a tingle on your tongue. Spicy and sassy – just like the sandwich’s namesake! The chunks of roasted veggie served on the side are an added delight! In keeping with the healthy theme of the café, the Crunchy Superbowl Granola (RM16) does not disappoint. The house-made granola has a cinnamon finish and is served with plain yoghurt and drizzled with honey. 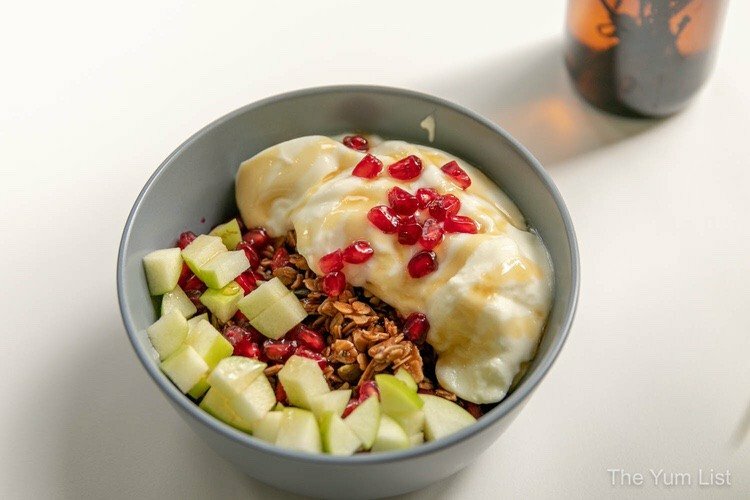 The fresh apples add texture, while the pomegranate, dried goji berries and dried apricot add a little chewy, sweetness to this dynamic bowl. Despite being so full we could burst; we can’t go to a café without trying a least a pastry (or two!). 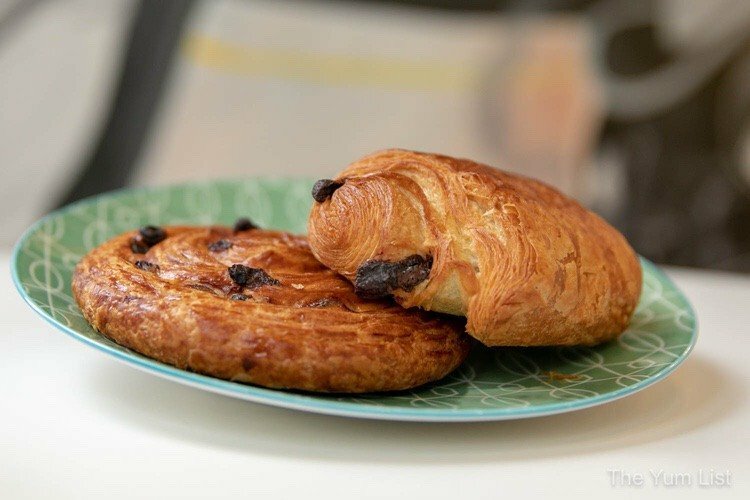 The pastries we sampled were the Pain Au Chocolate and the Pain Aux Raisins (both RM6). Buttery, flakey and loaded with goodness on the inside, you can’t go wrong with either. 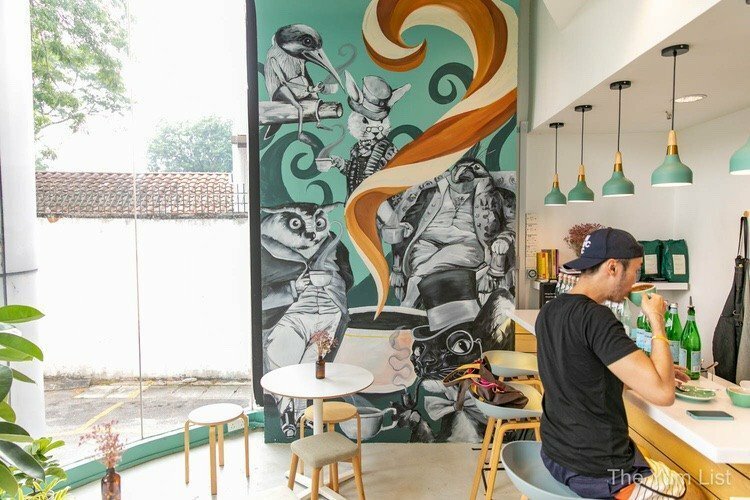 This tiny café, certainly is proving the size does not equal might and it’s impressive to see what the owners have done with their charming little space. Young and energetic, this is a place that is beaming with potential and I for one cannot wait to see what is in store for The Lolla Co (I hear rumours of ice cream being an addition??). Make sure to check out this feel-good café on our side of the tracks, you are guaranteed to leave feeling better (and fuller) than you entered. 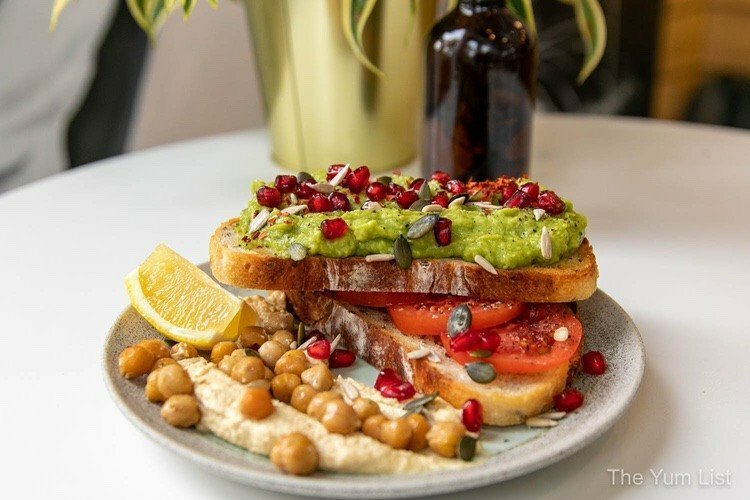 Reasons to visit The Lolla Co: Feel good family café; impressive range of handmade coffees and juices; really yummy, healthy menu – check out the Avocado Toast and the Maria Berry Sandwich! Find more on KL’s cafe scene here. Carrot cake sure looks soft & moist, must be good. That tonic coffee had me intrigued! I love what I see especially the carrot cake! 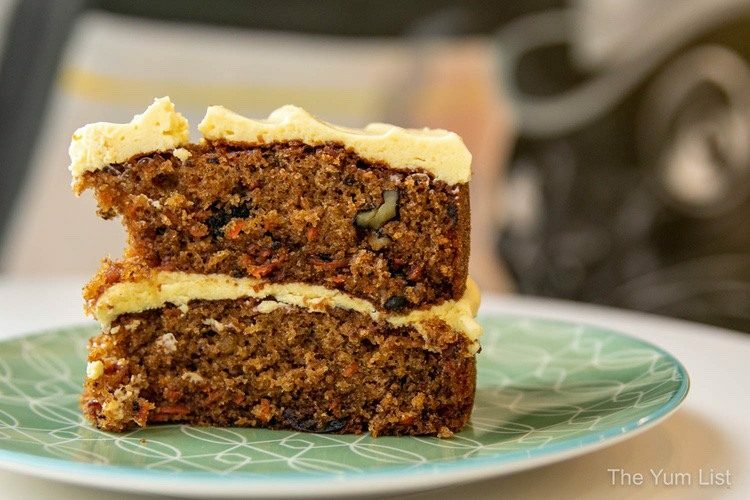 That carrot cake is to die for! I am amazed at the design/drawings they are able to create on the surface of the lattes. Truly works of art. Looks like an excellent place to drop by for a bite. My husband has clients in that vicinity. Maybe we’ll drop by one of these days. Malasa chai is my favourite!